Are you managing your spa or salon, or is it managing you? Spa management is not easy. It takes a lot of time and effort to build a high performance team! The biggest challenge spa and salon managers experience in leading teams is creating business training material and then conducting it. It takes a long time to plan, create, and conduct team training. Even once you have created it, sometimes it’s not received as well as you would like it to be-- because it is coming from you. Isn’t that the truth? It’s like when your partner is trying to teach you to play golf, or tennis…we’ve all been there, right? is schedule your training, and put it on autopilot. You’ll have an expert train your team for maximum results! 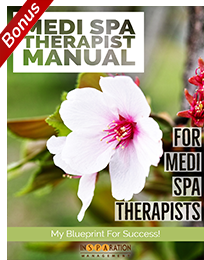 Volume II, containing one-hour tele-seminars to help you drive more traffic to your spa, medi spa, and/or salon. The content is filled with easy to implement and economical marketing strategies. will give you plenty of time to implement what you’ll learn on monthly basis. on what to train them on because you don’t have a training manual? to refer to at all times. Is your Reception as productive as possible? Maybe it’s time for a transformation. This is a two-part module. In part one, you will discover common reception challenges and how to overcome them, the importance of setting spa reception performance management and expectations, compensation/rewards, and effective communication methods between the team and spa management. 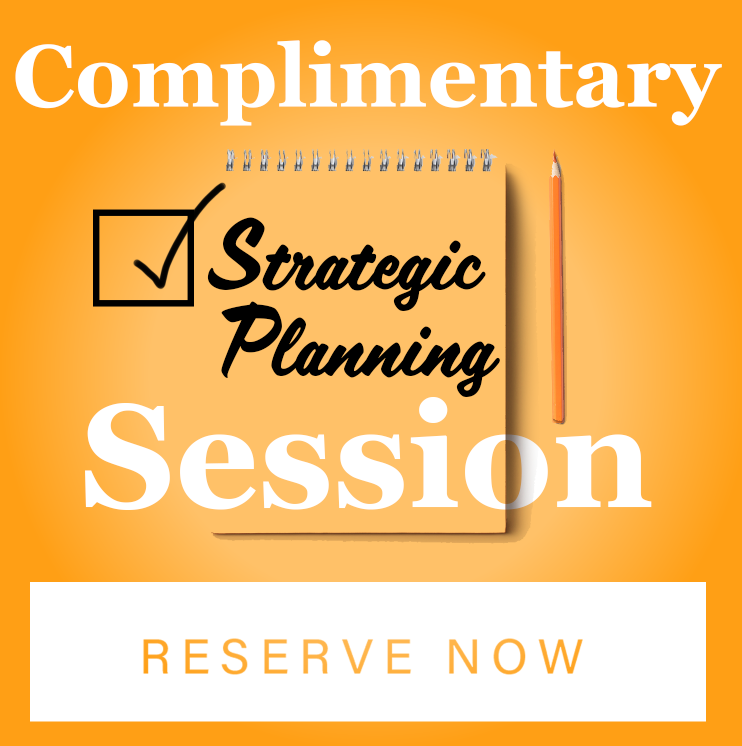 In part two, you will learn about Daily Success Planning, shift team meeting, check-in and out essentials, the importance of spa tours, memberships, how to increase spa gift card sales, and testimonial requests. Both modules contain scripts, strategies, and ways to turn your reception department into a revenue-generating hub leading to elevated success and an enhanced guest experience! Is the team armed with ways to be more successful? There’s always a way to increase the revenue of your spa and, in turn, your team. Listen to this module to gain insight on how your team can be more productive by understanding their obligations, calculating capacity, assessing current productivity, calculating income potential, and different techniques to increase their income. They will learn how to promote memberships, recommend home care products, increase retention, and referrals. Teach the team these skills and you will have a much more productive and motivated team! Wouldn’t it be great to have a high retention rate? It’s possible! With this module, you’ll learn the R.E.P.E.A.T. Spa System to convert first-time guests into repeat guests. This module will teach your spa team how to conduct an analysis, make treatment recommendations, and customize guest programs. They will also learn how to build relationships and make them naturally flourish into steady connections. By practicing the R.E.P.E.A.T. Spa System, the team will be armed with a proven-effective system to increase your retention rate—therefore, everyone wins... the guest, the team, and the spa! Is the team recommending treatments and home care? Your goal as a spa leader is to deliver a “WOW” guest experience, one that is exciting and memorable that leads to high retention. Teach your team this module and teach them how to deliver a complete guest experience. As a spa professional, you have an obligation to take care of your guests in the spa and then teach them how to take care of themselves at home via your spa products. Your team will learn the P.R.I.D.E. system, and the importance of how to help your guests in the spa and with at-home experiences. With this knowledge and by implementing the P.R.I.D.E. system, your team will be able to deliver the best guest experience and maximize revenue for both treatments and retail products. Is your team asking for referrals? You can double your business if each of your current clients refers only one person. In this module, we will teach your team how to make asking for referrals a habit for them, and you’ll increase your capacity and generate more revenue. They will learn how to set referral goals while building trust with each guest, use the right approach to ask for referrals, and also how to launch referral campaigns. Asking for referrals is a smart way to work! Teach your team this module and increase your capacity. Is your team communicating effectively with your guests? Guest communication is one of the most important parts of the guest experience! Spa owners work extremely hard to gain new clients, and maintaining them depends on how the team communicates with them once they arrive to the spa. In this module, your team will learn essential communication principles such as how to make a great first impression, body language and nonverbal communication, active listening, persuasion, and complaint management. These fundamentals will teach you to make your spa guests feel comfortable and welcome. When you are attempting to launch promotions that will bring awareness to your spa or your spa products, the promotion won’t go anywhere if it’s poorly planned. People respond to promotions that are appealing and interesting. In this module, you and your spa team will learn how to initiate successful promotions by learning the dos and don’ts, determining promotion frequency, how to price and market them, as well as how to display them. You will also discover how to set sales goals and measure performance. When you implement these techniques, your promotions will attract new clients and your sales will soar! Does your team know how to manage their finances? Managers have the responsibility of the spa’s budget, but they should also teach the team how to manage their own finances so they can be free of stress and financial worries. Team members tend not to have a personal budget. In this module, you will be able to teach your team how to manage their finances, set goals, and calculate their income potential. It also teaches them how to forecast their income potential, categorizing expenses, shows them their profit potential, and have a savings plan. They will have an Excel spreadsheet that is preformatted to simply customize and allow them to have a budget. This will help set up your team for success! 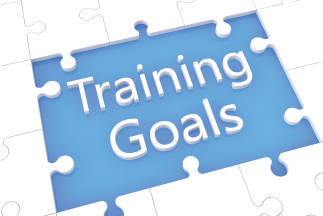 Is your team implementing your training? 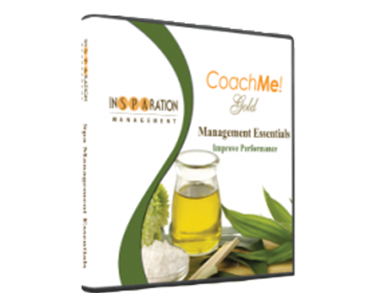 Being part of the CoachMe program provides you training tools to help you improve productivity and have systems to help you be more successful. However, if your team does not implement the content, you won’t grow. In this module, you will learn how to create an implementation plan for your training, set up role playing sessions, test their knowledge, set up goals, and discover ways to measure your efforts. Your training will be more effective when you apply these implementation methods. Is your team positive and motivated? As a manager, we are sure your mental attitude is great, but how is your team’s? In this module, you will learn how to shift your team’s mental attitude from negative or neutral to positive, as well as teaching them how to set daily goals to stay focused and productive. They will discover tips to avoid negativity, and most importantly - maintaining a positive attitude. Positive people are influential, so when you and your team understand how to remain positive, imagine how wonderfully it will affect your spa’s atmosphere and overall performance! How well is your team performing? 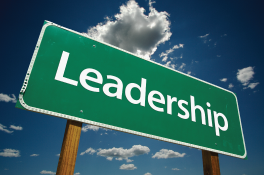 When you have a leadership position, you are required to appraise your team and coach them to become better. Appraisal is a time-consuming process for the spa management team. In this module, your team will learn how to properly conduct a self-appraisal. You will have an appraisal form that you can customize and give to your team to assess their own performance. They will measure actual results vs. goals, personal accomplishments, identifying their strengths, areas for improvement, skill enhancement, and performance and achievement. When your team appraises themselves, you both will know what needs improvement and can construct a plan to improve performance. Are you an effective trainer? Your team should feel as if they are receiving quality training that they can easily implement to elevate the spa’s success. Your implementation methods should be clear, concise, and proficient—which is what you will learn in this module. You’ll discover the best ways to apply the content of Spa Management Essentials, the best trainer qualities, training delivery techniques, how to engage the team and get buy-ins, and exploring solutions as a team. You’ll also work on charting an implementation plan and explore training evaluation to spot your strengths and weaknesses when teaching others. Once you recognize what you can do to improve your training, your delivery will become more presentable and your trainees will retain more information to better help them operate in your spa!